Click the images to view the presentation slides. Please note: links will open in a new browser window or tab. This paper focuses on mature learners’ digital identities. To support their transition into a learning community, a Master’s module required these students to share a reflective blog. The study examines how their writing reflects increasing abilities and highlights the role of a peer audience in emerging digital confidence. The presentation draws on a small, phenomenological research project involving first year social work students at the University of Huddersfield, taking part in a focus group study and completing an on-line questionnaire. 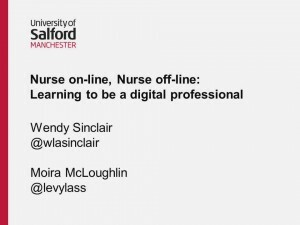 The results highlight the increasing complexity of social media experiences and its impact upon professional development. 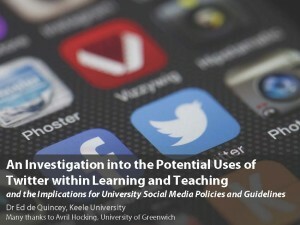 This paper will explore how embedding social media in higher education programmes that are bound by regulatory bodies. It will explore how to ensure students can learn to use social media responsibly through role modelling and co-curation. 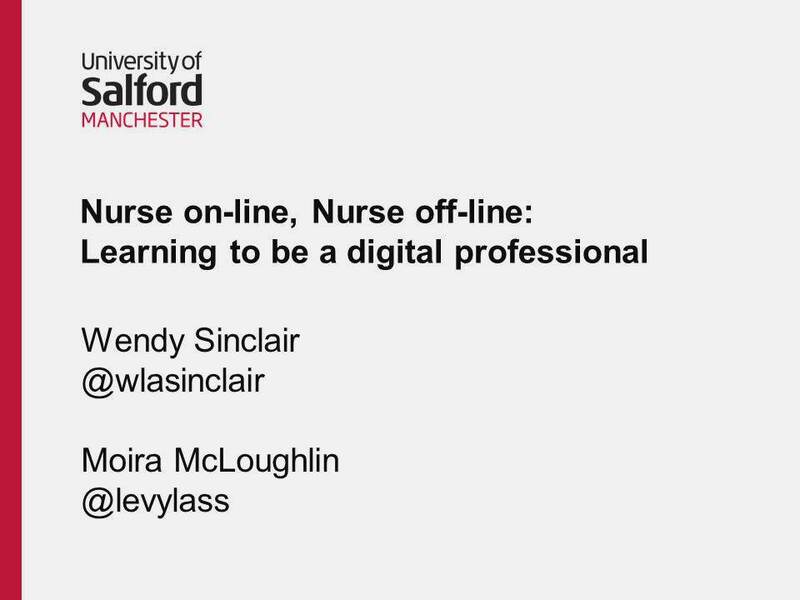 Reflecting on recent work this paper considers how social media is being used to generate evidence of learning and professional practice by students and academic staff to populate their online professional profile. This presentation describes a study that has analysed the tweeting activity of lecturers and students. The potential benefits are discussed along with the surprise difficulty in getting students to engage with twitter. Issues regarding digital identity are considered and how they have contributed to a University social media policy. An analysis of student-led public Facebook groups with a combined membership of 2600 students revealed widespread emotional and cerebral support plus evidence that thriving groups can assist student retention. This research helps institutions to understand the valuable role performed by Facebook groups alongside formal provision. The book groups in social work education methodology was originally designed to supplement traditional teaching methods in traditional spaces. However, embedding technologies within the approach has broken down the geographic boundaries that once reduced social work education into silos. 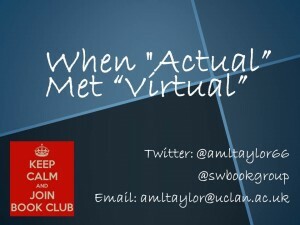 This session outlines what can occur “when actual meets virtual’’. ‘You affect the world by what you browse.’ Tim Berners-Lee – Aiming to initiate the development of a policy for the ethical and sustainable use of Social Media in Higher Education by outlining the key issues such as our role as educators and our relationship with the Social Media. The key focus is how we can engender change through action.